One of the things we think of when we think summer,is back yard bbqs with friends and family. With Father's Day fastly approaching, we know there will be alot of bbq's going on. Depending on the weather,we are hoping to have a Father's Day bbq with great BBQ recipes from Life Made Delicious. It's the perfect time of year to celebrate summer, the great outdoors and dad!Last year we had a nice family bbq. The only thing that really spoils it are the bugs. Guess they like summer too! 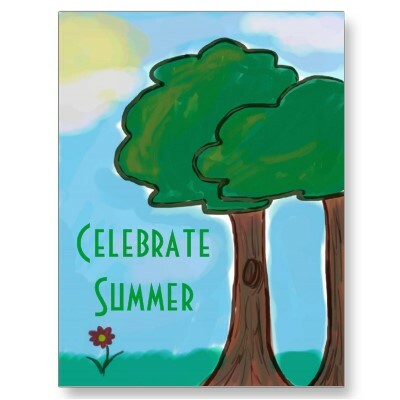 From June 7th through July 7th 2011, we have a giveaway running where you can win a “Celebrate Summer Giveaway” pack. A random draw for one lucky reader will be made by Random.org on July 8,2011 from all Canadian entries recieved.Good luck to all! Share your favourite Summer recipe from Lifemadedelicious.ca for a chance to win! My favorite recipe from Life Made Delicious is Sizzling Grilled Chicken Fajitas. One of my favorite recipes would be the Grilled Caesar Turkey Burgers. I'm glad you made it back from your big trip all safe and sound plus healthy. Welcome back! I hope you and your family enjoy your Father's Day BBQ too!!! Thanks for sharing re Life Made Delicious. I too am a subscriber, but I missed some of those recipes. Upon going back, I printed off one that looks yummy and easy to do: GRILLED HONEY-CUMIN BBQ PORK PACKS. Thanks for the heads up! My favourite Summer recipe from Lifemadedelicious.ca is the Grilled Honey-Cumin BBQ Pork Packs. The Sizzling Grilled Chicken Fajitas sound amazing! I love the Very Merry Cran-Apple Crostata. I am having such a sweet craving right now. I have to do some baking. That recipe site is now on my fave list. Thanks. the Asian Barbecue Pork Kebobs. The Grilled Honey-Cumin BBQ Pork Packs look tasty. The roast chicken on a can sound good and not to heavy for summer! My favourite recipe is the Grilled Honey-Cumin BBQ Pork Packs. Mine is the Asian Barbecued Pork Kabobs. I love Asian Barbecued Pork Kabobs. Tried it a lot of times.. so delish! My favorite recipe is Grilled Steak with Feta. My favorite recipe from the site is the Blueberry Burrito Blitzes! The recipe I like most is Sizzling Grilled Chicken Fajitas. We had the Grilled Beef Fajitas this past Saturday night for dinner. They were awesome! They were definitely the best fajitas we have ever had. The barbeque taste was just what the fajitas needed. I like the Sizzling Grilled Chicken Fajitas. I'm sure my whole family would too!